The center of this carpet looks very beautiful and this is the eye catching part. Beautifully handcrafted by our talented weavers. This is highly durable and hand washable carpet. Beautifully hand-knotted in pure New Zealand wool and Cotton material. 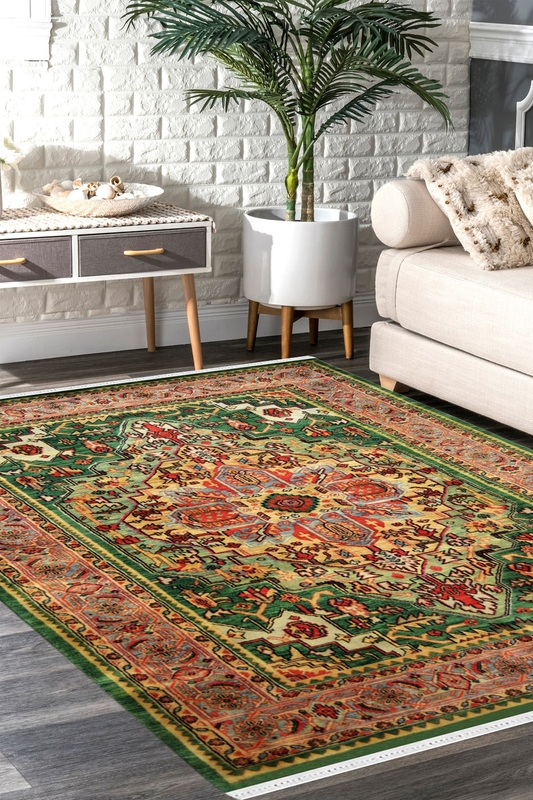 It has a great Persian pattern which is woven in Kashan design. Kashan design is a very traditional design which has been originated in 17th century. This carpet is looks like antique and tie-dye carpet. So give a classy look to your space by placing this cosy woollen carpet and change your lifestyle.